Great location in a quiet area - no stairs - 1st floor walk-in with a very convenient location to the carport. 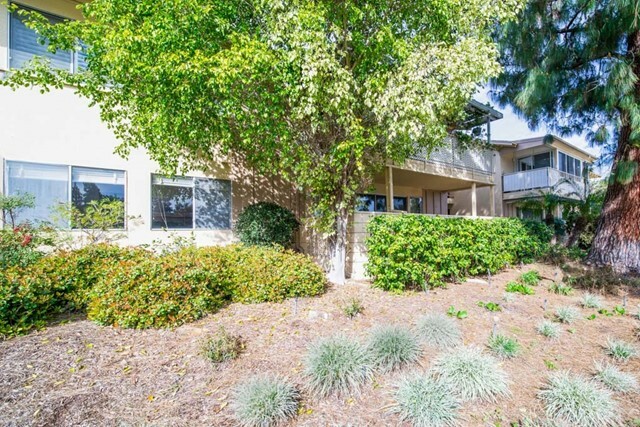 One of laguna woods popular "majorca" model with 2 bedrooms and 1. 75 baths. This home is light and bright and has it's own full size washer in the master bathroom and full size dryer in the guest bedroom closet. The kitchen has been upgraded and has new counter top. The guest bathroom has low flow toilets installed, new shower and new counter top. Perfect for buyer's looking for a ground floor unit!! Some of the great amenities offered in laguna woods include: 27 hole championship golf course and a 9 hole executive par 3 course, dancing, tennis, paddle tennis, lawn bowling, 2 fitness centers, 7 clubhouses, 5 swimming pools, equestrian center, gardening, art studio, wood shop and over 200 clubs. Country club living and only 8 miles from laguna beach. For more information or make an appointment to see property ID OC19017080.